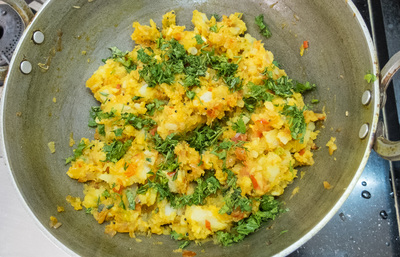 Aloo sabzi literally means a filling made with potatoes. It is a versatile, multi purpose dish: it's an excellent side dish, it can be a filling for dosa (which then becomes "masala dosa"), it can even be used as a condiment for sandwiches. Once you try it, I am sure you will think of another thousand different ways to savor it. 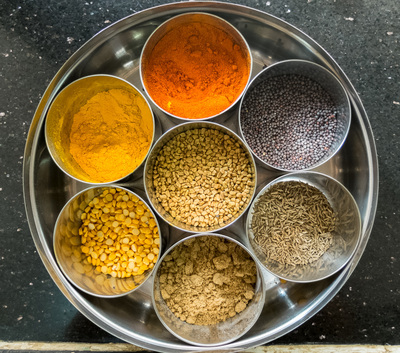 Its delicate, yet very tasty flavor isn't too spicy, so it doesn't tire you easily. Boil the potatoes. 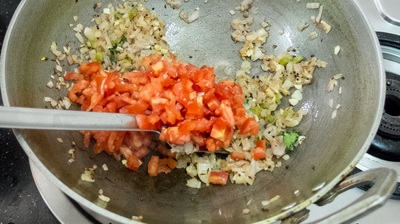 Chop the onion, garlic and ginger, cut the tomatoes into small cubes. In a pan with a little oil, sauté the cumin and mustard seeds. When they start to crackle, first add the ginger and finely chopped chili, and then the onion. 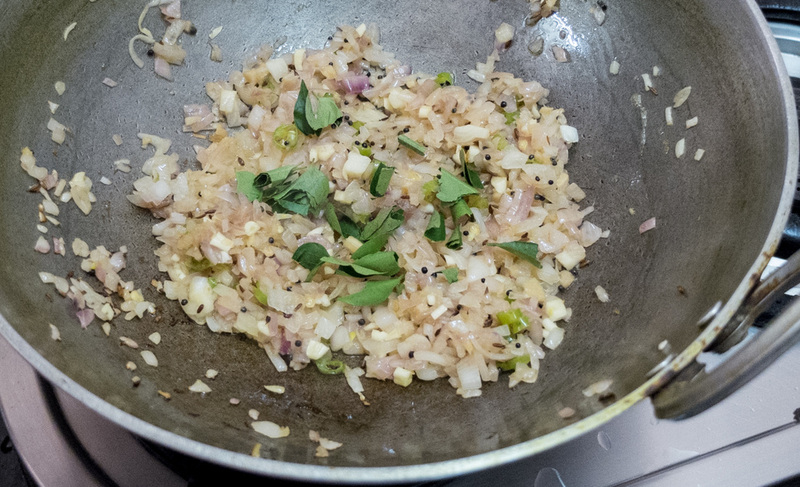 Brown the onion for 5-6 minutes and, around halfway through cooking, add the garlic. When the onion turns golden brown, you can add the optional extra ingredients if you want to give more color to the dish. Leave those to cook for other 5 minutes (not too long, as they should remain crisp). 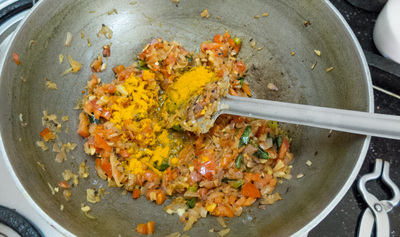 Otherwise, directly add the tomato cubes and curry leaves; sauté briefly, season with salt and turmeric. Meanwhile, peel the potatoes are mash them coarsely with a fork and then add to the pan. 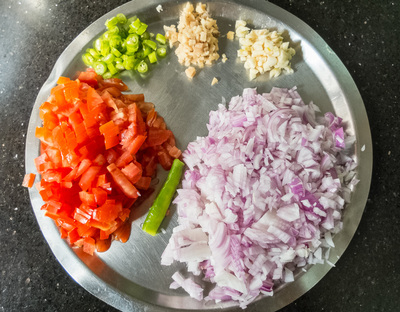 Mix everything together so that the masala (seasoning) is evenly distributed in the mass. Be careful not to mash it all too much, as the texture should be chunky and rough, even with small bits of potato. Finish with a sprinkle of finely chopped fresh coriander.